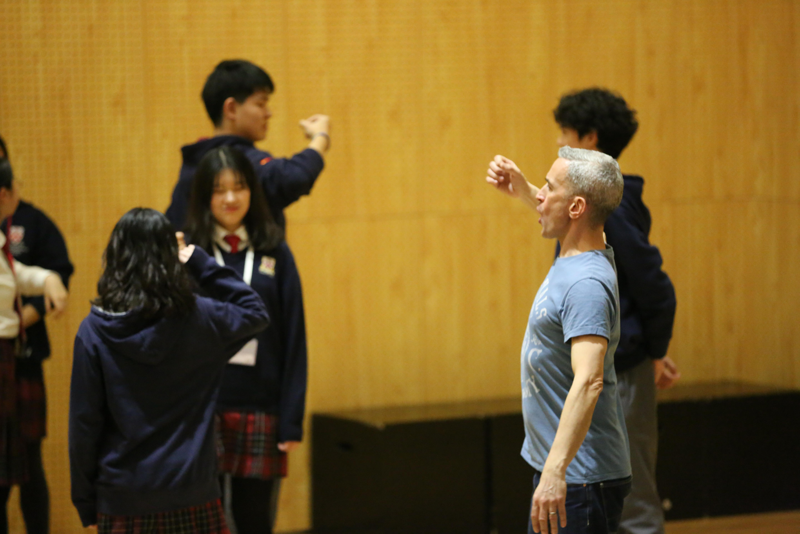 On 26th February, actor Matt Costain from the Royal Shakespeare Company (RSC) visited Dulwich International High School Suzhou. He led two workshops for our staff and students of both the lower grades and upper grades. Performing Arts has always played an important role in the Dulwich College International (DCI)'s holistic approach to Education. This year marks the third year of Dulwich College International’s partnership with RSC Education. This collaboration affords our students and staff a wide variety of opportunities to access and engage with Shakespeare’s works, developing a lifelong relationship with his plays and live theatre. We achieve this through pedagogical practice developed directly from the RSC’s rehearsal rooms. RSC Education aims to make Shakespeare vivid, accessible and enjoyable for students of all ages as well as their teachers. It enables young people to have the kind of joyful first encounters with Shakespeare’s work that lifts their aspirations and belief in their own abilities. It prioritizes the professional development of teachers so that more young people’s experiences of Shakespeare’s plays are rooted in the real-world work of actors and directors in the rehearsal room. There is a significant and compelling body of evidence about the impact of RSC Education’s teaching approaches on student self-confidence and attainment. Matt Costain trained at Rose Bruford College of Speech and Drama in Theatre, and then later at The National Centre for Circus Arts in aerial skills. Matt has developed a particular strength in physical, visual and ensemble-based theatre. His other great passion is for performing Shakespeare. Career highlights include "The Histories Cycle" for the Royal Shakespeare Company - for which Matt shares in the Olivier Award for Best Company Performance, "The Birds" and the multi-award-winning "Warhorse", both for the National Theatre, and two seasons at Shakespeare's Globe Theatre.